Common Grounds is known as a place with great coffee, a unique atmosphere, and a place with quality Live Music; but it wasn’t always that way… Live Music at Common Grounds began as an afterthought. While the primary goal was to create a place where Baylor Students could get a cup of Joe and hang out with friends, we discovered that Live Music was a natural part of that experience – a part that we were missing. The first CG shows were not played on any kind of stage, but more resembled Acoustic House Shows; Bands would set up within the two doors between the House and the Side Patio and provide the perfect atmosphere for an evening at Common Grounds. One of those bands was Green River Ordinance, a Pop-Rock band from Fort Worth, TX. 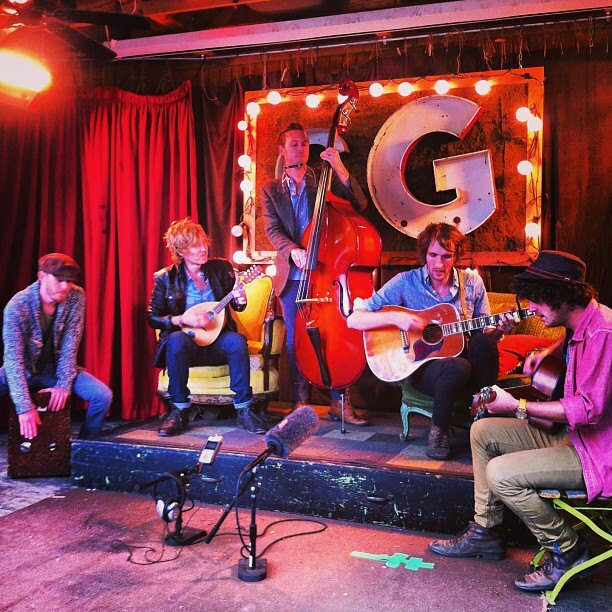 Since 2004, when they first played inside Common Grounds, Green River Ordinance (GRO) has been on an exciting venture. They signed a record deal with Capital/Virgin Records in 2007, experienced numerous Top 40 Hits, and gained national recognition through over 50 placements in Network/Cable Television shows and Films. The growth was great, but they decided to leave their label in August of 2010 and rely solely on the support of their fans. It’s been nearly three years since then, and the Fans have continued to believe and support them as they continue to burn up the road and make music. It seems to be a full-circle ride to arrive at the same place they once were, but with different circumstances. The amount of Fans they now have continues to grow, even without the support of a Record Label. 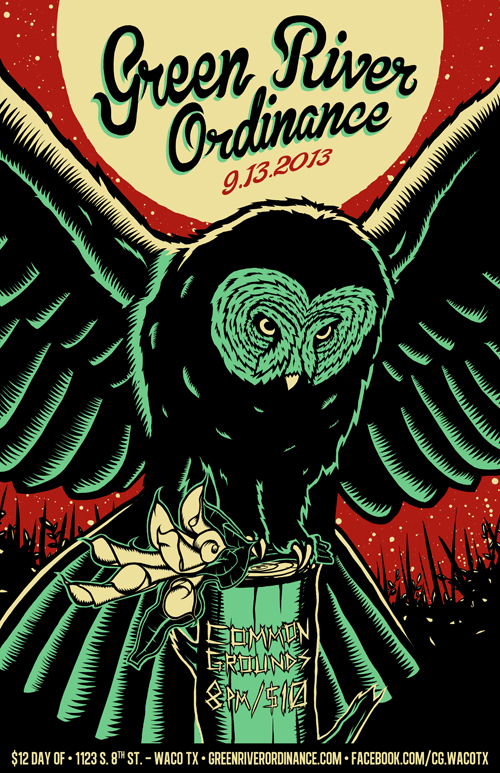 The stage has now been set for GRO to come full circle again and return to Common Grounds on September 13, 2013. The experience won’t be like the indoor Acoustic House Show, but isn’t something that you should miss. Waco is scheduled to be one of the first stops on their new EP Release tour, supporting Chasing Down the Wind, which will be available for purchase on June 18th. The once Pop Rock 5-piece has evolved as much as the shows at CG have to express influences from the Eagles and Avett Brothers, to name a few, all the while being able to hear where they’ve come from, complementing The Goo Goo Dolls, Switchfoot, and other Rock or Pop bands.